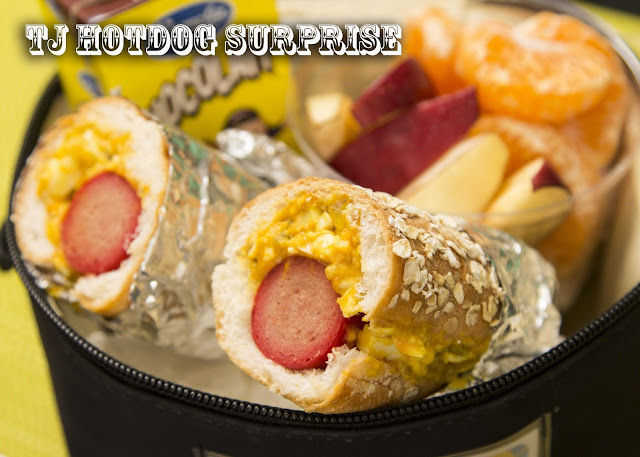 Surprise the kids with this yummy TJ Hotdog recipe that they will surely love! 1. Mix mustard, pickle relish, ketchup, onions, cheese and eggs. 2. Scrape and remove some of the inside portion of the buns to create space for the hotdog. Put one hotdog in each bun. 3. Stuff the buns with the egg mixture enough to cover the hotdog. 4. Wrap in foil. Heat in the oven toaster for 5 minutes.